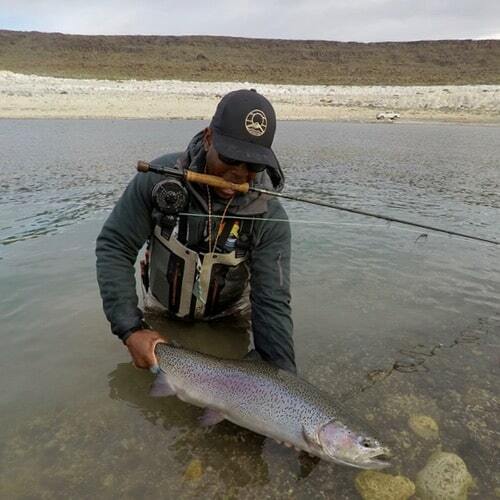 Jurassic Lake offers anglers what might easily be the best stillwater trout fishing found anywhere in the world! Jurassic Lake (also known as Lago Strobel), is located Argentina’s southern Patagonia region. There are only two lodges with access to Jurassic Lake; Jurassic Lake Lodge and Estancia Laguna Verde. 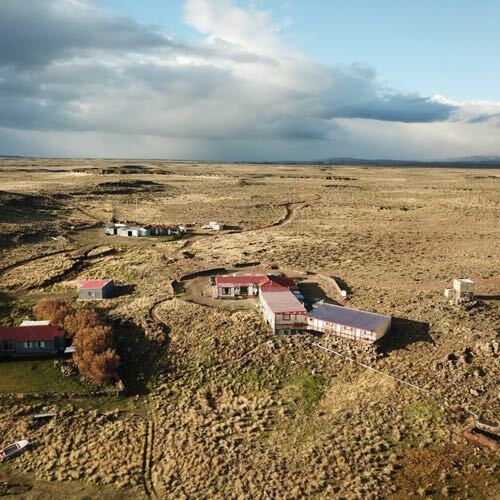 In 2018 we traveled and were warmly welcomed by the Estancia Laguna Verde Lodge, which translates to the Green Lake Ranch. 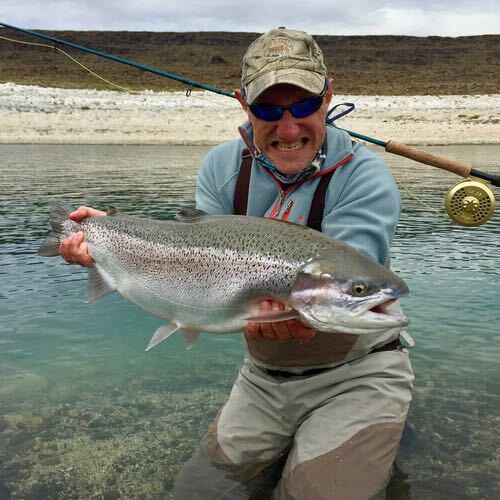 We spent eight days exploring this incredible trout fishery and the area of southern Patagonia and are now please to offer prime dates to this world class Argentinian trout fishery. 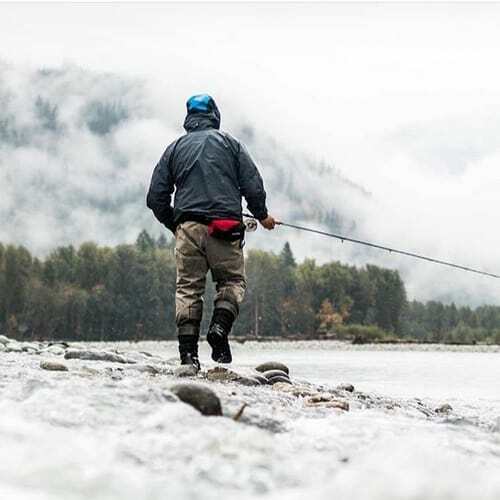 There’s nothing like this in the world, an absolutely amazing fishery, lodge, and experience, surrounded by some of the most surreal landscape you’ll ever find yourself in. If you’re interested in some prime dates, our annual hosted trip or just some insight into fishing Jurassic Lake please contact us. 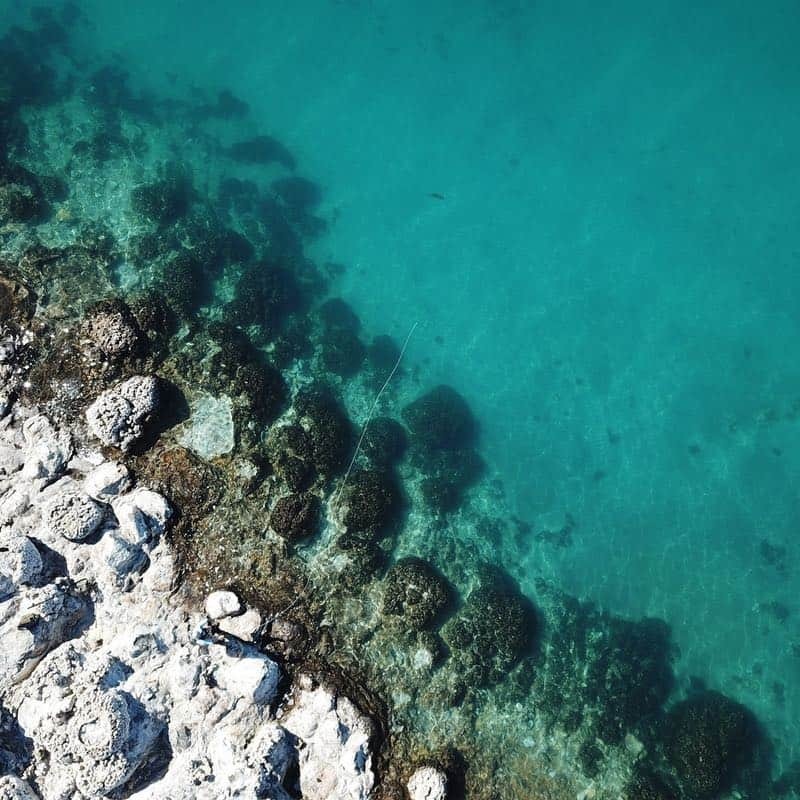 Book your Jurassic Lake trip with us and get prime dates, dedicated trip planning services and all the insight and info to make for a perfect trip. 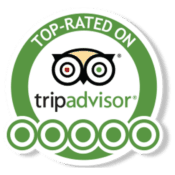 We’ll take care of all the details so you can enjoy a worry free trip to this spectacular part of Argentina. 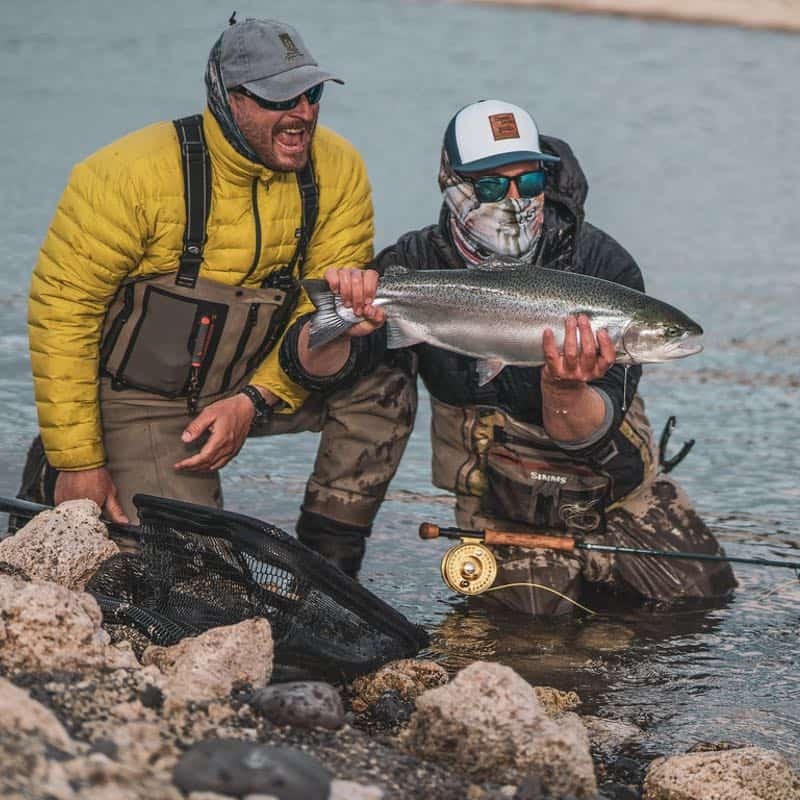 All-inclusive packages include 7 nights lodge accommodation, 6.5 days of guided fishing, meals & alcohol and round-trip ground transportation from El Calafate, Argentina. For specific dates and pricing please contact us. Get ready to experience Argentina's amazing Jurassic Lake! Not required but if you have a time of year you'd like to travel to Jurassic Lake please let us know. 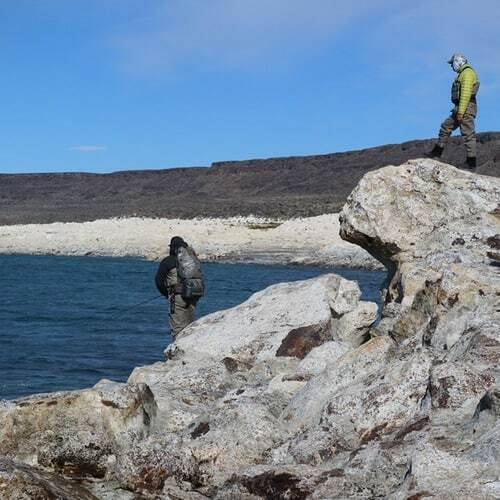 Tell us about what you're looking for in a Jurassic Lake trip. And if you have questions, we're happy to answer them. Laying eyes on Jurassic Lake for the first time is an incredible site. The Estancia Laguna Verde lodge is not located on Jurassic Lake, but about a 10 minute drive. The lodge itself sites on Laguna Verde (Green Lake) one of the smaller private lakes on the ranch. Jurassic Lake is a wild sparkling gem, in what I could describe best as a southern tundra. In the distance the snow covered Andes divide Argentina and Chile. The lake is at an altitude of 2300 feet and is approximately 65 kms squared in size. 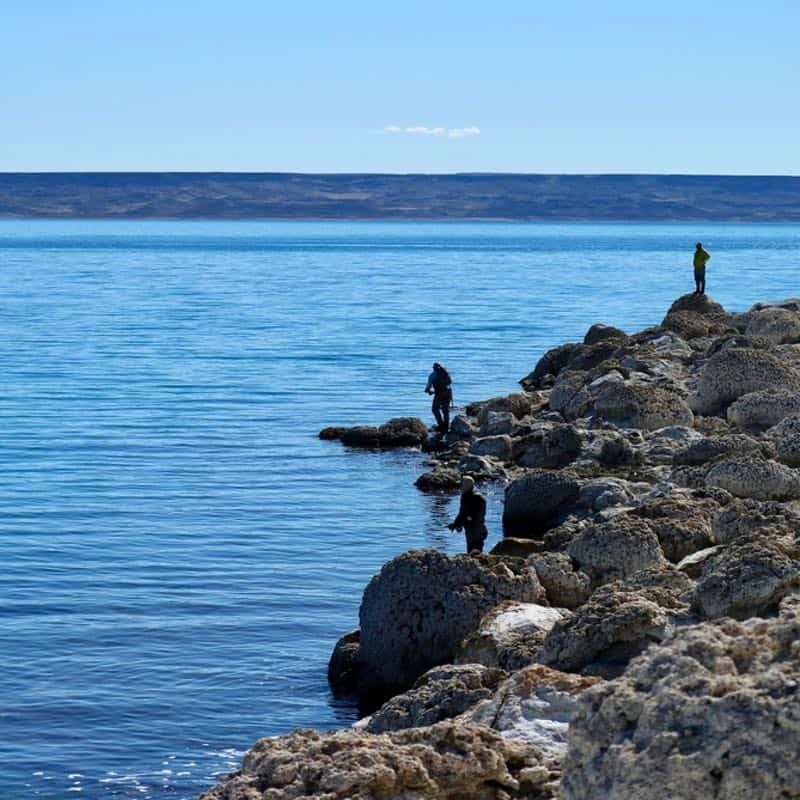 The fishing is all done from shore, and there is no lake of incredibly interesting places to fishing, including spots with names like Monster Bay, Dry Fly Bay and The Cocoon. Contrary to what some think, most of the fishing is site casting to big rainbows cruising the beaches. Dries, nymphs and streamers all work here. Jurassic Lake rainbows range in the 5 to 20+ pound range, these fish are the real deal! On most days fishing Jurassic Lake you’ll cover a variety of areas, rarely if ever seeing other anglers. Estancia Laguna Verde is a massive expanse of privately owned land, with a variety of other lakes on the property, all of which you’ll have access to on your package. 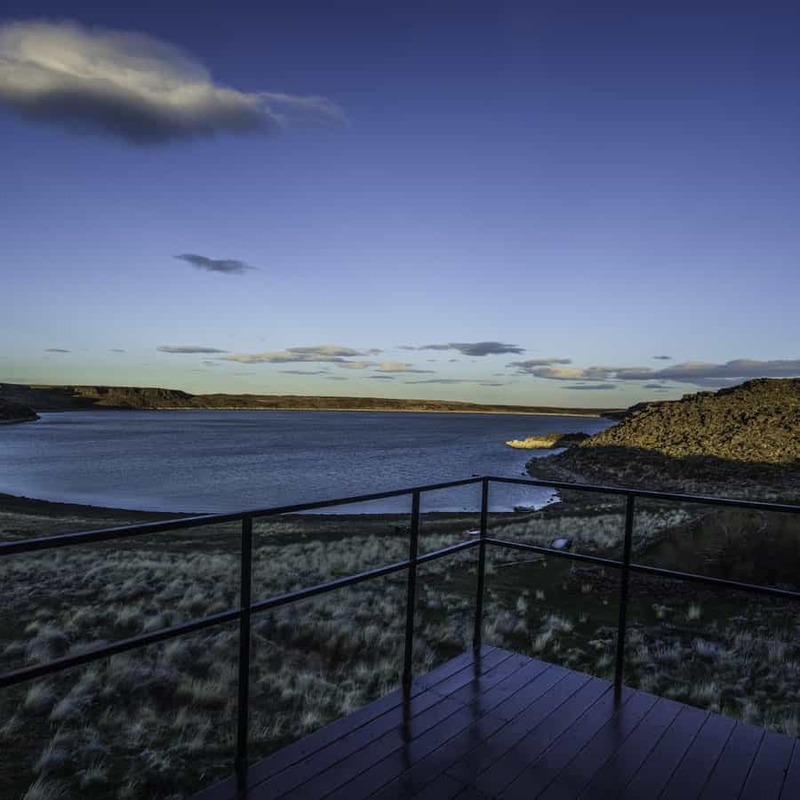 A stones through from the lodge is Laguna Verde, you can almost cast off the balcony of the lodge. Start your day here or go for a few casts before dinner, you can pack in as much fishing as you’d like at Estancia Laguna Verde. The Barrancoso River flows from the snow mountains and is the main inflow river to Jurassic Lake. It is also home to thousands of trout, walking along the banks of the Barrancoso you’ll see them. Fly fishing this wild untouched river was certainly a huge highlight of the trip. 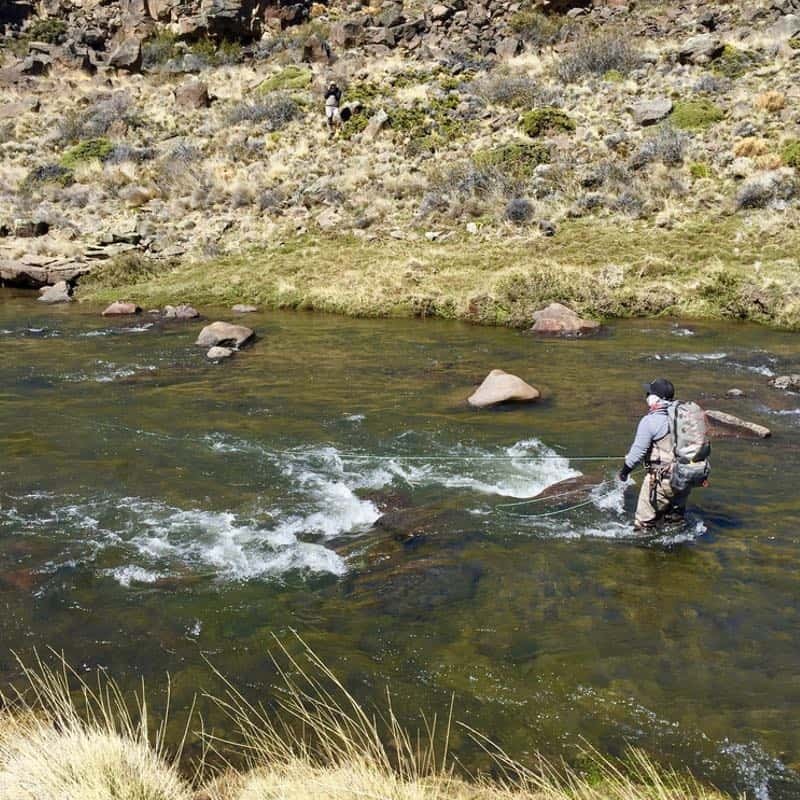 The access Estancia Laguna Verde has to this river is unmatched, miles and miles of private water, huge trout and no other anglers, except the odd curious fox. The fishing program at Estancia Laguna Verde is built to maximize your time there. 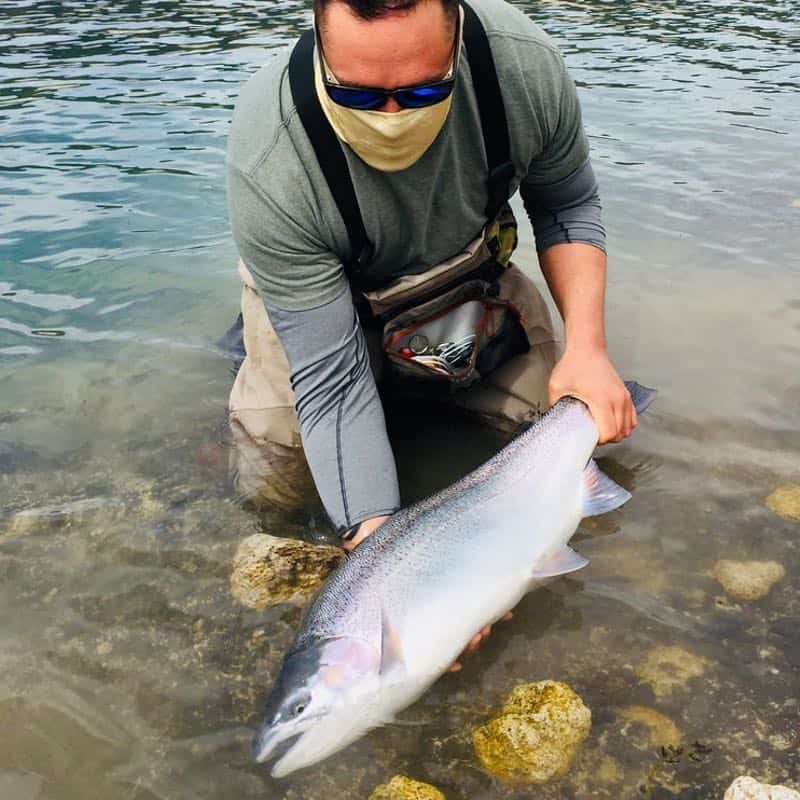 It is a one guide to two angler ratio, the guide staff is first class, great bunch of guys, with excellent english and each with an incredible knowledge of the fishery in southern Argentina’s Patagonia. You’ll be driven in Toyota pickup trucks each day, once leaving the lodge you’re fishing for the day, returning early evening. Hot lunch is served at warming huts along the lake. For more information on what to bring, have a look at our What to Bring to Jurassic Lake post. 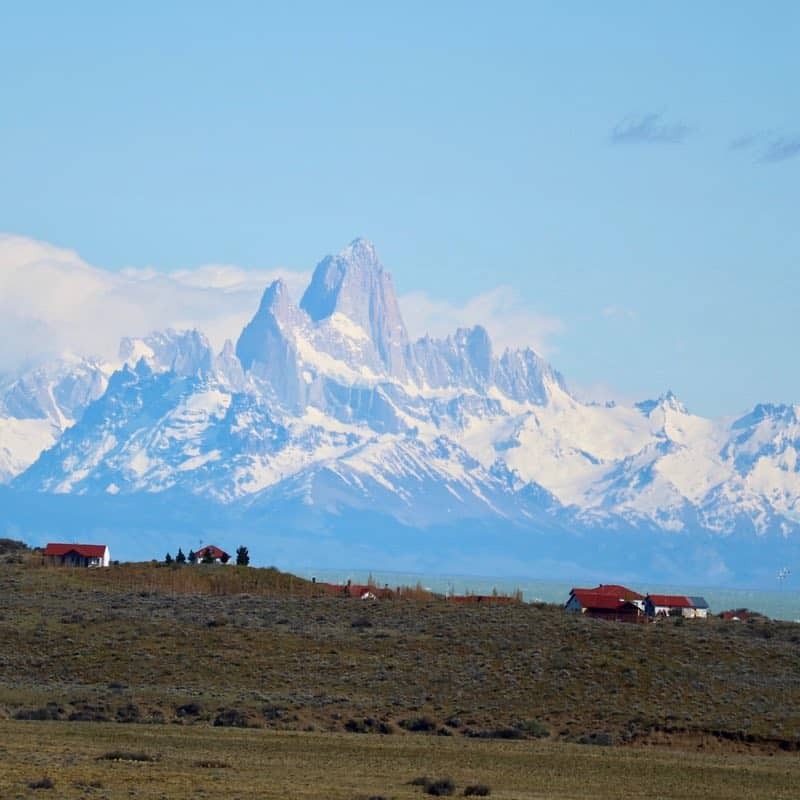 It’s hard to believe there is anything out here in the harsh flatlands of southern Patagonia, let alone an absolutely epic lodge with service, dining and amenities to match. Estancia Laguna Verde lodge runs a first class program through and through. 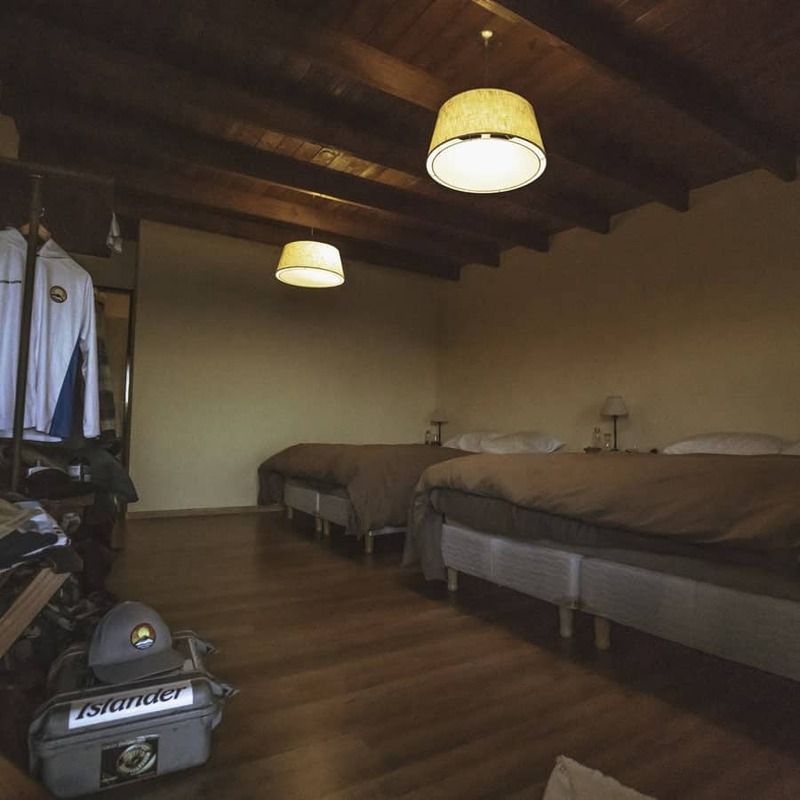 I’ve been to fishing lodges around the world and Estancia Laguna Verde is a spectacular lodge with a laid back atmosphere, unbelievably comfortable rooms and a warm and welcoming staff. The lodge has a capacity of only 12 guest per week. 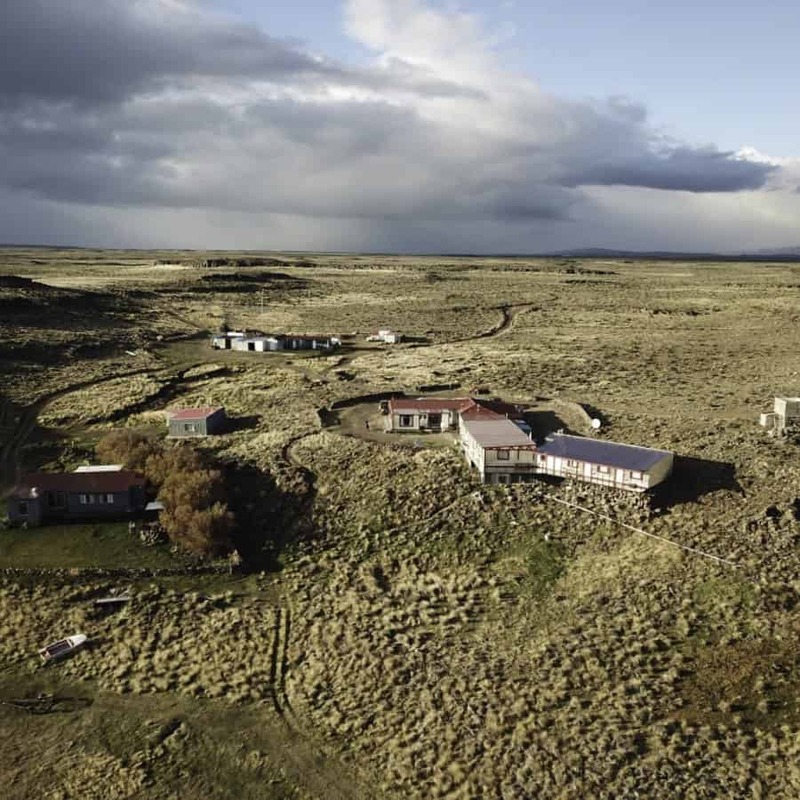 A fresh addition to the lodge boasts new rooms and the main lodge has a large lounge, common dining area and drying room for waders and gear. 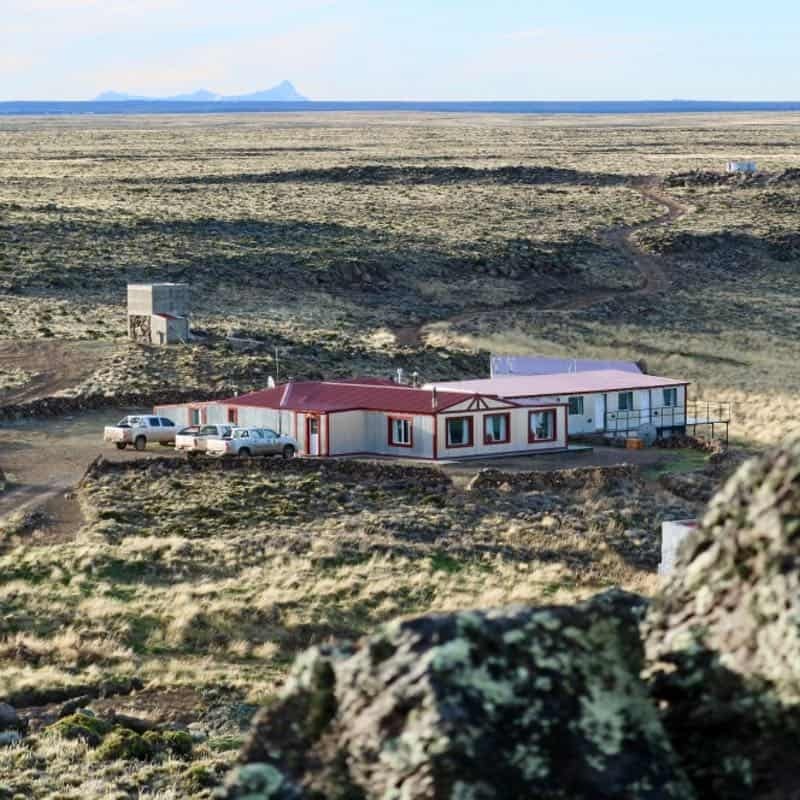 Estancia Laguna Verde can accommodate solo anglers, who will get their own room, you won’t need to share a room if you are coming on this trip by yourself. All meals and alcohol is included on your trip. Breakfast consists of a lighter meal, eggs and bacon cooked to order and a cereal/oatmeal station, fresh coffee and juices. Lunch is served while fishing, there is a series of huts along Jurassic Lake that the guides use to make hot lunches each day of fishing. 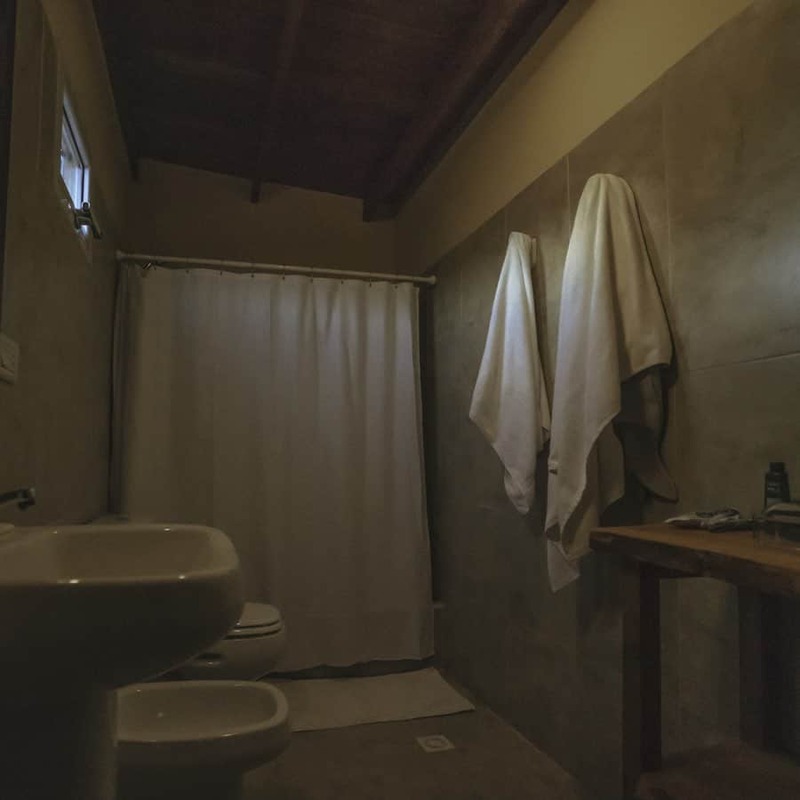 When returning to the lodge, you can have a hot shower, enjoy a cocktail over looking the lake, some appetizers and then sit down for a finely prepared Argentinian dinner. 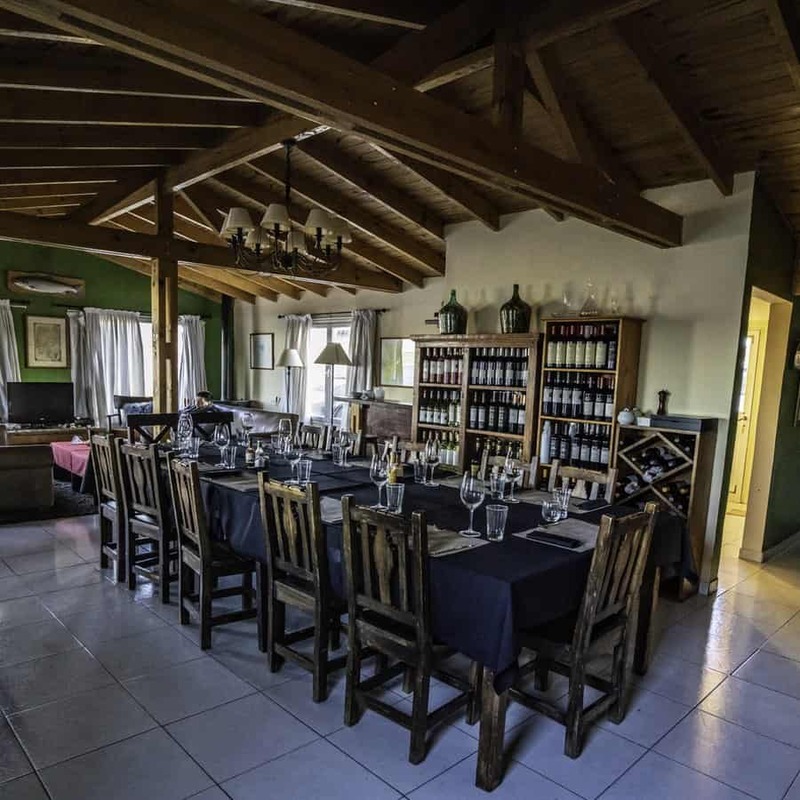 There is a bar in the lodge, pour yourself a drink whenever you’d like, a massive wine selection and of course lots of cold cervezas in the fridge. While we were there, we enjoyed the traditional Argentinian asado, a BQ night of huge proportions, lamb, steaks, chops, ribs, as much as you could eat. The last night at Estancia Laguna Verde is empanada night, the traditional casual fare of Argentina. Food, service and lodgings are all fantastic at Estancia Laguna Verde, and you’ll enjoy the warm casual atmosphere of the lodge. There is wifi at the lodge, although limited and slow, you can get an email in or out. There is also a satellite phone in case of emergency. Upon booking we’ll send you a detailed list of what to pack for your time at Estancia Laguna Verde. 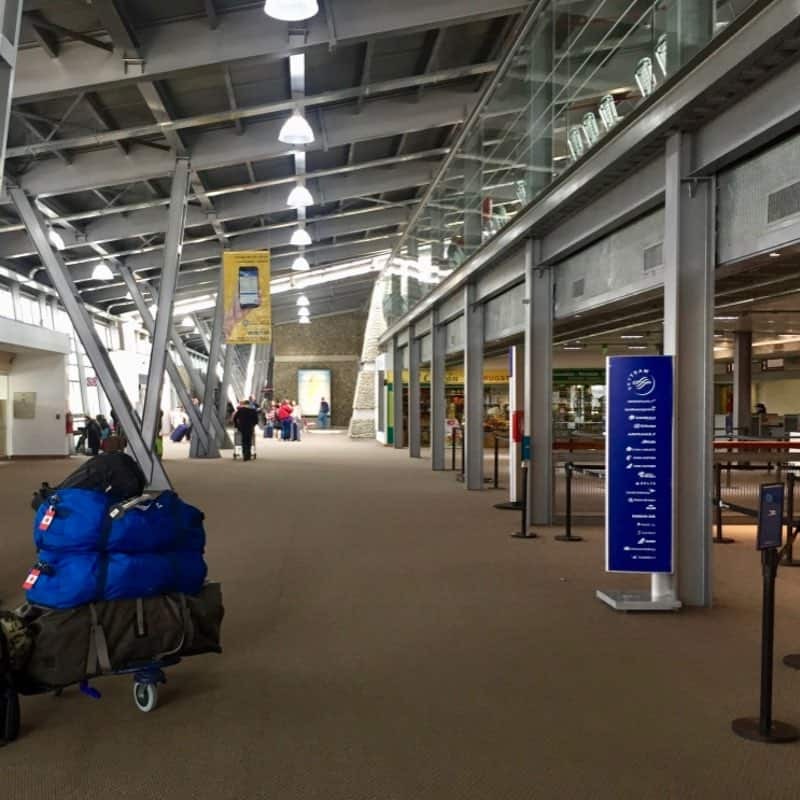 Getting to Argentina is relatively simple and once there domestic travel is actually surprisingly easy. 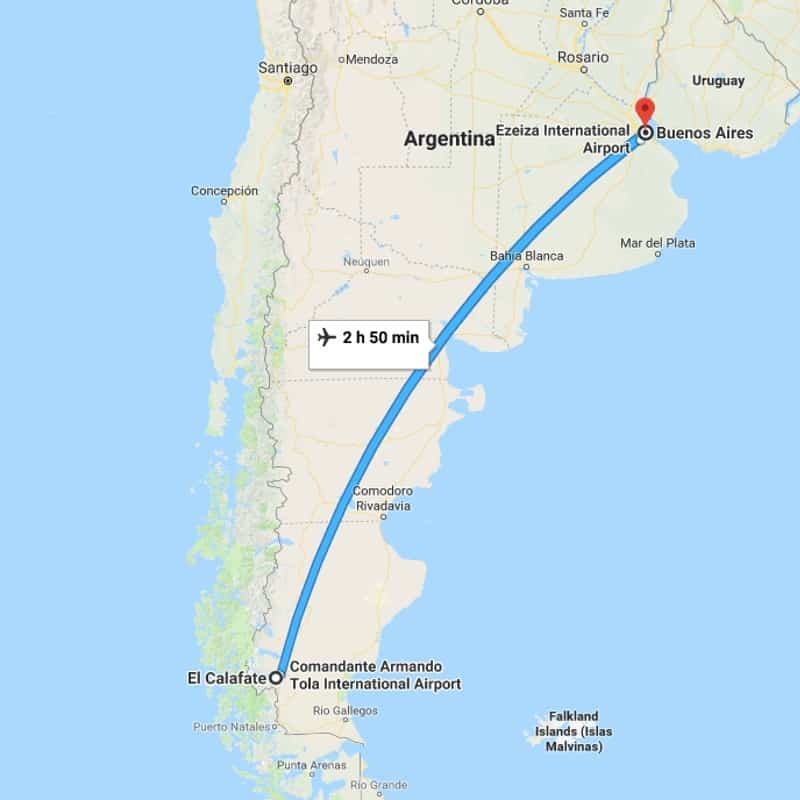 From North America there are numerous flights to Buenos Aires Ezeiza International Airport (EZE). 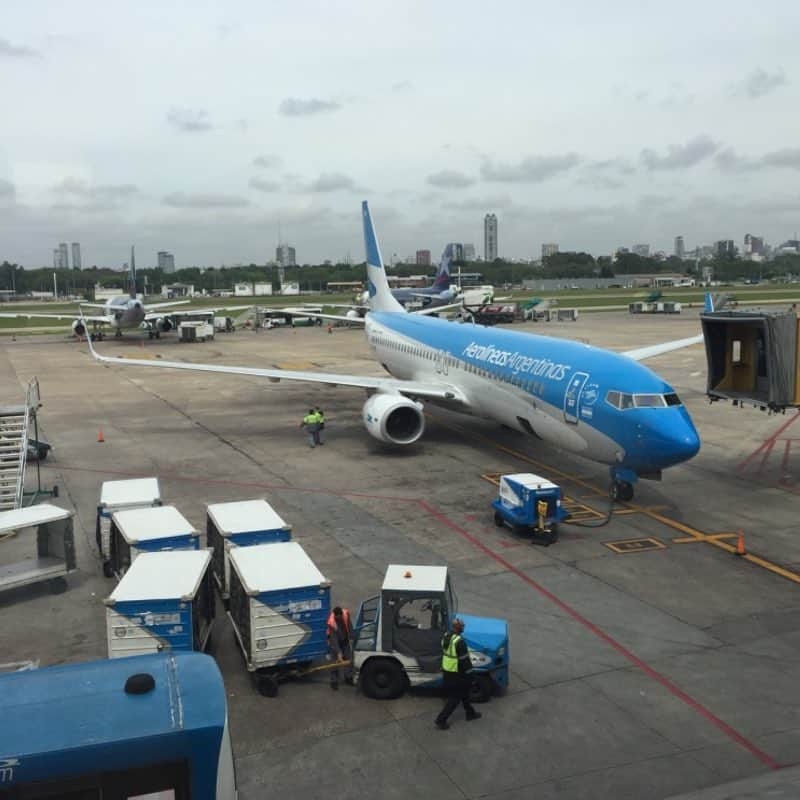 Flying from Houston TX to Buenos Aries is the most logical, with an evening flight departing Houston around 10 PM and arriving in Buenos Aires at 11 AM local time. Flying time is 10 hours. Canadian and US citizens do not need a Visa or special documentation to visit Argentina. Upon arrival at Ezeiza International we found Argentinian customs and baggage claim to be a breeze to get through. The airport is safe and orderly, with prepaid taxi stands to get you into Buenos Aires, a drive time of 30-60 minutes. 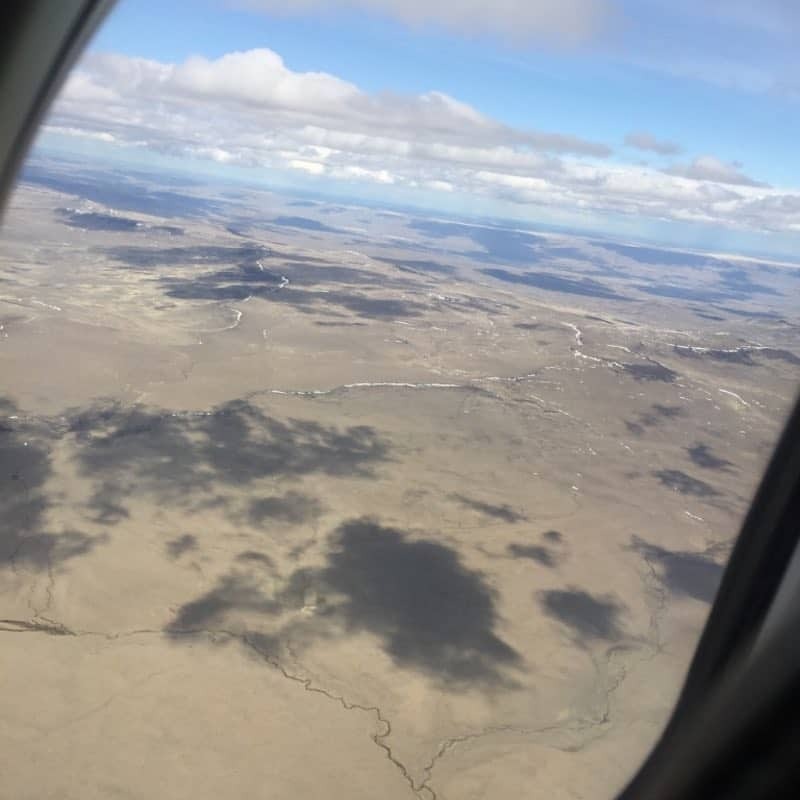 You can stay in Buenos Aires, if you’d like to explore the city, or catch a connecting flight with Aerolineas Argentina airlines to El Calafate. More on international travel and suggested flights upon inquiry. 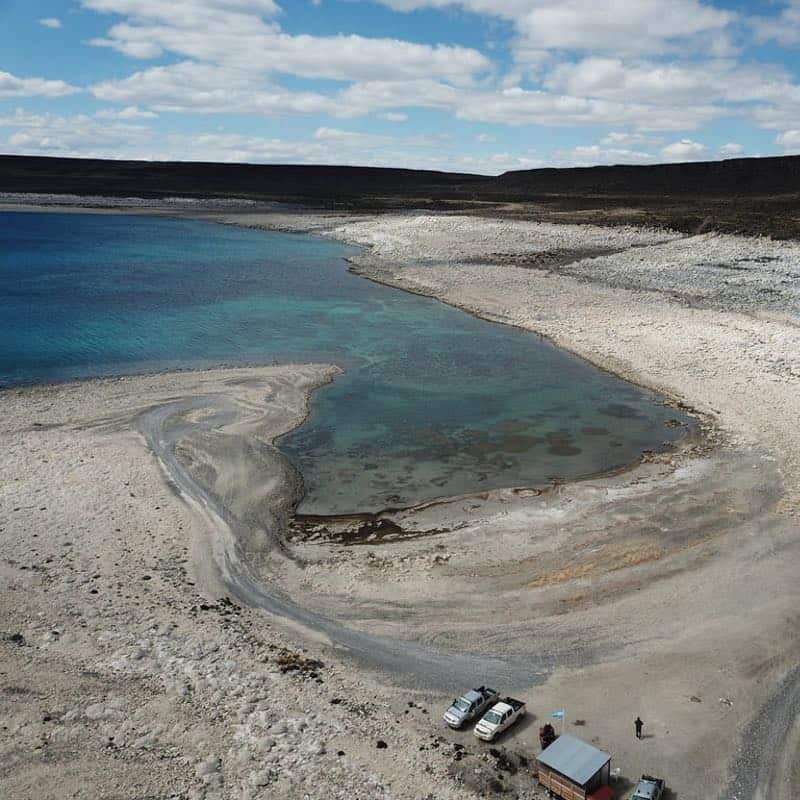 You can plan your trip to give you some extra time in the El Calafate area. Think of how far you’ve come, nearly the very southern tip of South America! 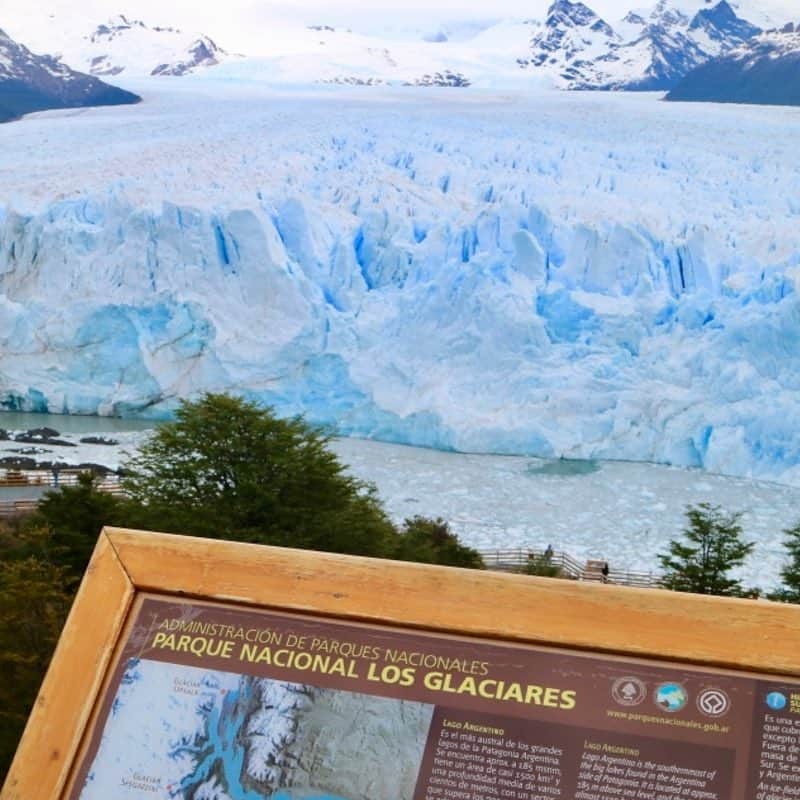 Take in the sites of El Calafate, including the Los Glaciares National Park, a stunning look at some of Argentina’s most famed glaciers. 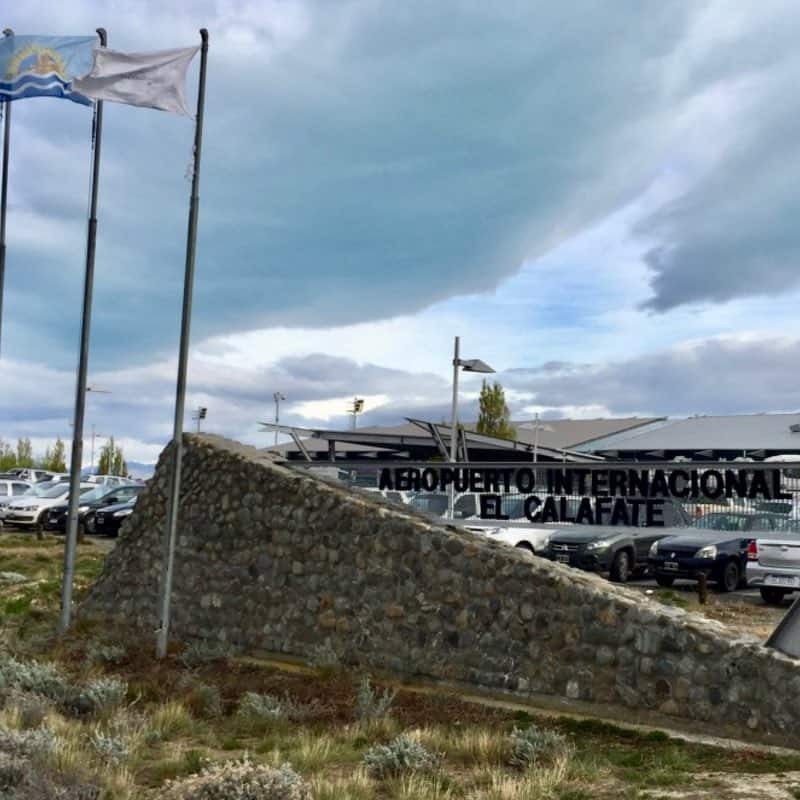 El Calafate has some great restaurants and nice hotel options. 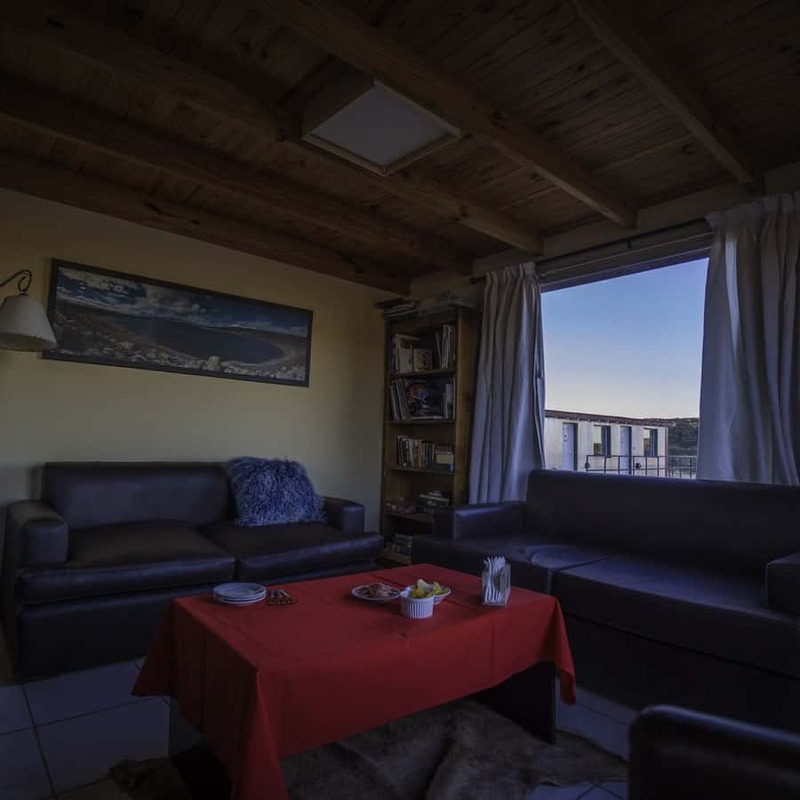 Included in your package is overnight accommodations in El Calafate. 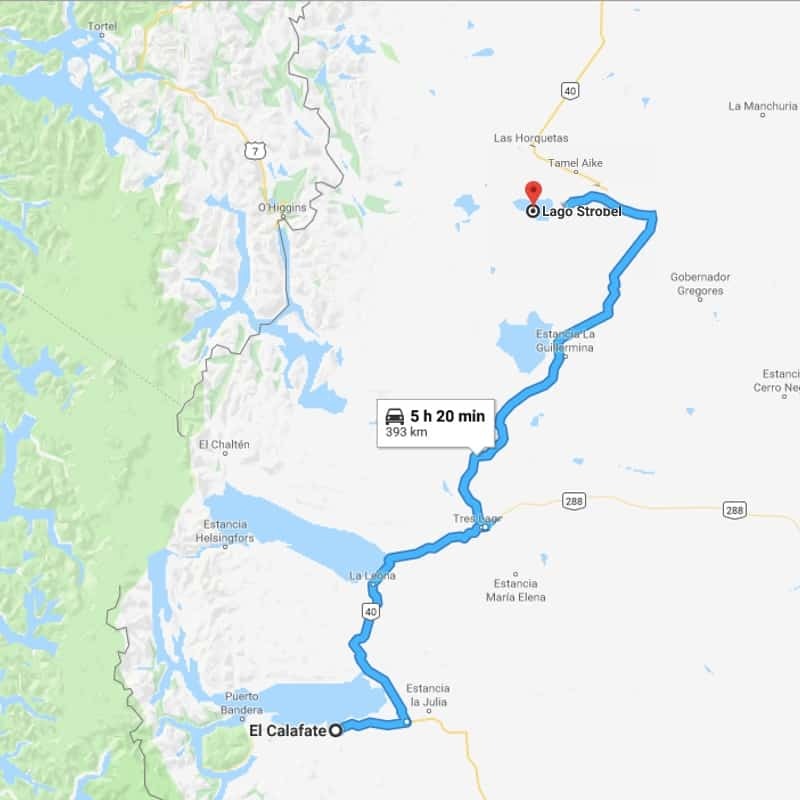 As they say “getting there is half the fun” and traveling from El Calafate north to Jurassic Lake and Estancia Laguna Verde is all of that. 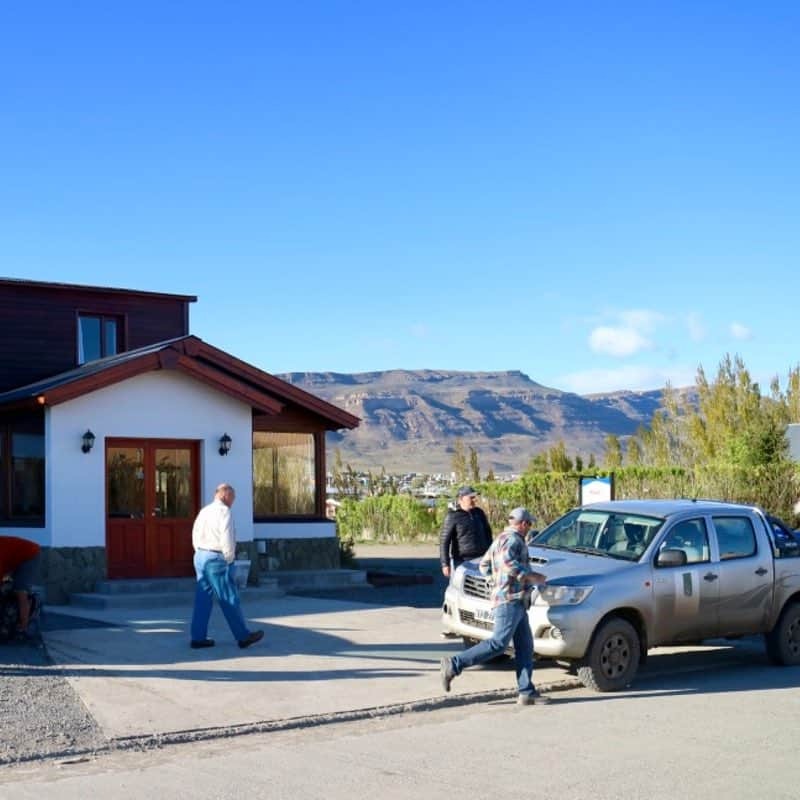 You will be picked up at your El Calafate hotel by a lodge representative, general pickup time is 8AM. You’ll then be driven north, through the rolling tundras of southern Patagonia. 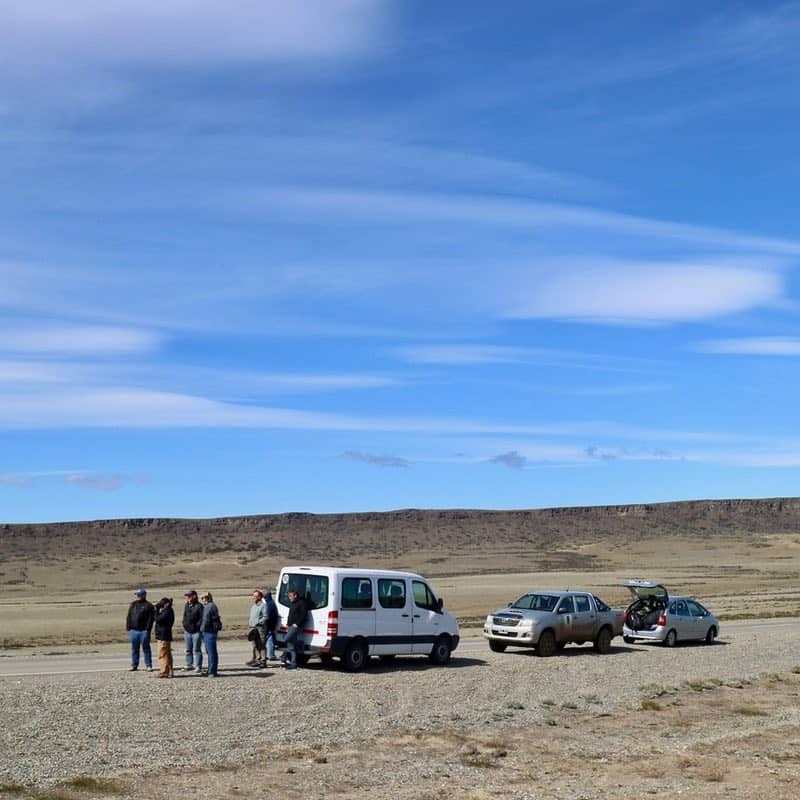 This is spectacularly wild country, with guanaco herds and other wildlife trotting through the barren landscape. The drive is about 5 hours, half on a paved road and the last half on rough dirt road. 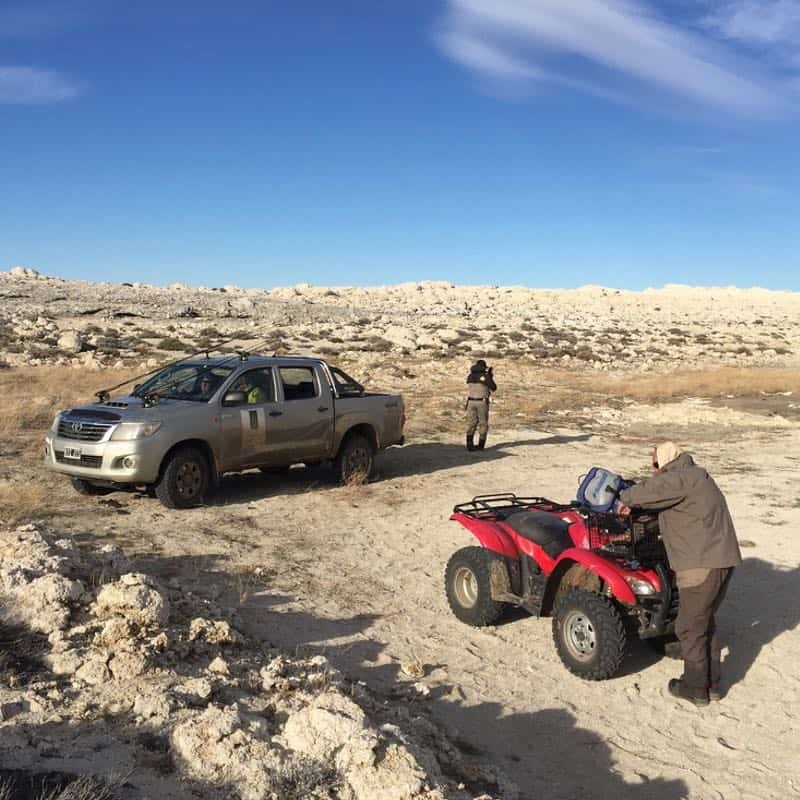 The adventure of getting to Estancia Laguna Verde is a blast, looking across wild country like nothing else in the world. Travelling back to Buenos Aires at the end of your trip has been well thought through by the lodge. You’ll be driven back to El Calafate for the early afternoon flight back to Buenos Aries. 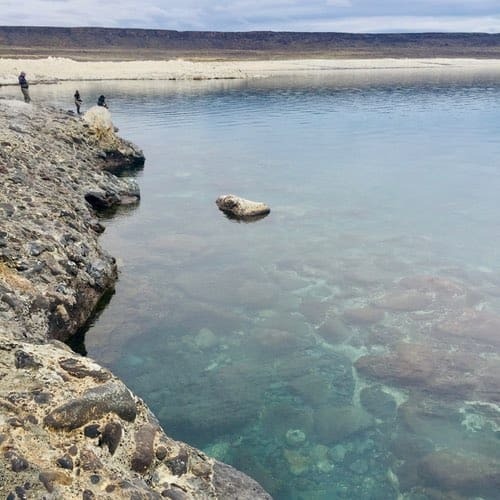 Some anglers opt to stay in El Calafate after their trip to Jurassic Lake, which you are welcome to, this will allow you to catch a morning flight to B.A. and an easier international connection. If you opt for the early afternoon flight you will more than likely need to plan on staying in Buenos Aires for the evening. 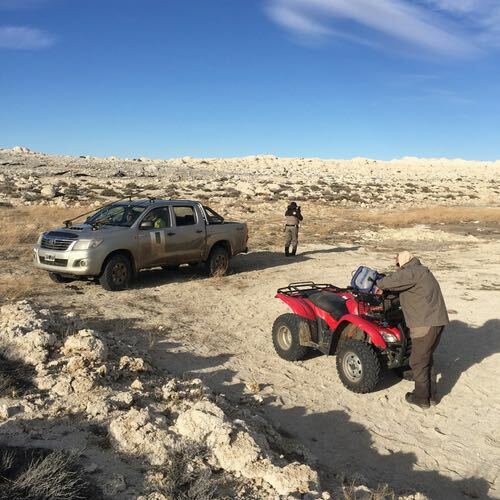 Book your Jurassic Lake trip with us, we’ll ensure you have seamless travel plans in Argentina and will have our personal travel agent help you with all flight arrangements for a worry free trip to South America. 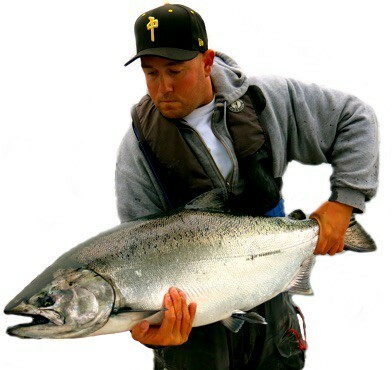 See all our freshwater and saltwater BC fishing trips here. Go with the local experts when it comes to planning your next BC steelhead trip. 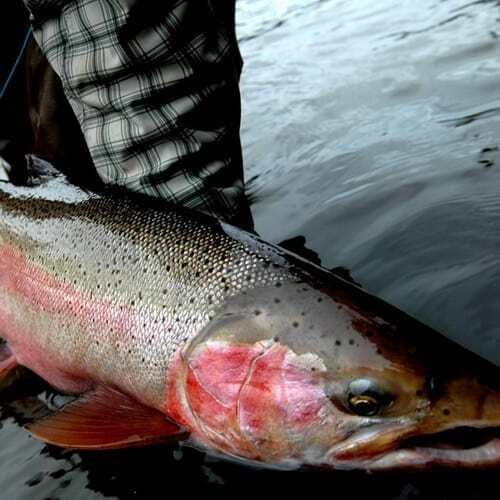 Click here for Steelhead Trips! 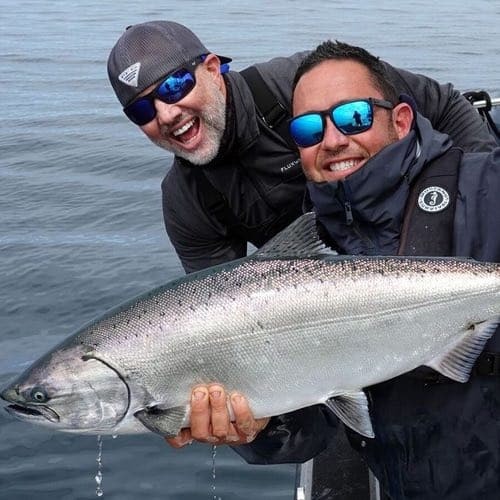 The best saltwater salmon fishing found anywhere in the world is with our crew at Langara Island Island Lodge.